Welcome to my blog. Follow along as we explore alI there is to see and do in SoCal including travel, events, food and all things autism friendly. Hard to believe it's almost that time of the year already. 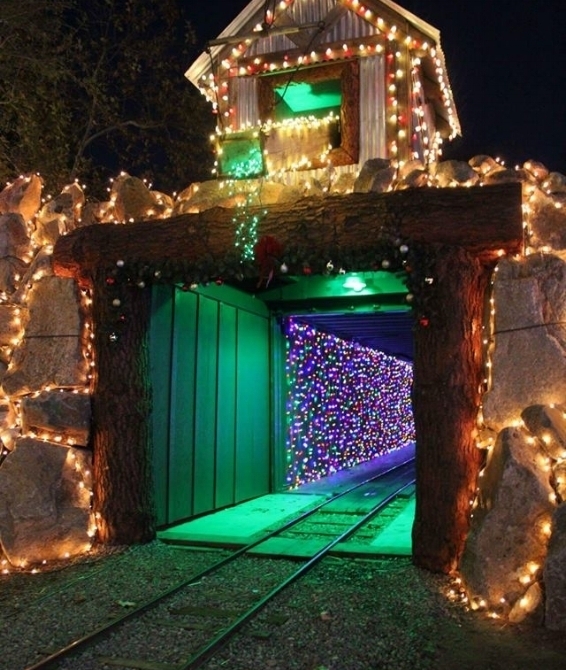 It's become a yearly tradition for us to celebrate seasonal holidays at the Irvine Park Railroad. From Easter to Halloween and our favorite Christmas, this annual event really gets you into the holiday spirit! I'm so happy to share with you all the magical details that await you and your family at this years event and with the generous support of the park I'm also hosting a giveaway to ride the Christmas Train. ‘Tis the season for Irvine Park Railroad’s Annual Christmas Train. Bring the family and take this enchanting ride through the historic Irvine Regional Park to meet Santa Claus starting November 30 through December 23. The festively decorated train departs from the train station and drops passengers off at the North Pole where children can share their wish list with Santa and have their photo taken with him too. After your visit with Santa, hop back on the train to enjoy even more colorful Christmas lights and decorations as you make your way back to Santa's Village which includes a special trip through the magical “Tunnel of Lights”. To finish off your trip you will be greeted with a light flurry of snow before pulling into the train station. Tickets for this event must be purchased online and in advance. There is a one-time, online ticket fee that will apply to each order so I suggest having one member of your party purchase all the tickets within one transaction. Important Note: Regular train tickets, tokens, complimentary tickets, discount tickets, and/or coupons are not valid for the Christmas Train. This event ALWAYS sells out! Don't hesitate if you are thinking of going. It is FREE to enjoy the park and many of their activities but for the train ride to Santa, you must have a reserved ticket time. Get your photo with Santa! $10.00 per photo-$6.00 for each additional print of the same photo. Each 5″ x 7″ photo will be available for pickup shortly after it is taken. Santas helpers will gladly take a picture of your children with Santa Claus for free with your camera as well. Children can print and fill out a wish list to share with Santa Claus during their visit! Sounds fun right? If you have never visited Irvine Park Railroad during this, the most wonderful time of the year, I can't express how magical the park looks during this event especially after nightfall! Enter below for a chance at the prize package that includes 4- Christmas Train Tickets.... Good Luck! A few things you will need to know before you go. Dogs are not permitted in the special event areas. Please respect this rule. Children 24 months and younger ride the train for free. Tickets are sold for each hour (ex. 5:00 – 6:00, 6:00 – 7:00). You are able to get in line and board the train any time during that hour so plain accordingly. Dress warm, it gets chilly at night at the park. March 30th through April 20th, Irvine Park Railroad will be celebrating Easter with it's Easter Eggstravanza. 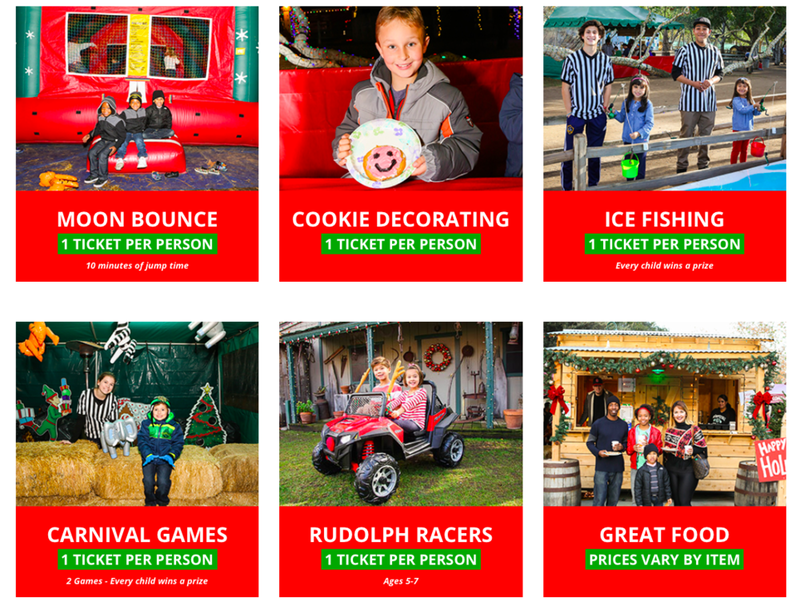 Bring the entire family to this fun event that will surely become a yearly tradition. Who's ready to join in the anniversary fun at the Irvine Park Railroad? Mark your calendars because this celebration only lasts two days February 23rd and the 24th. 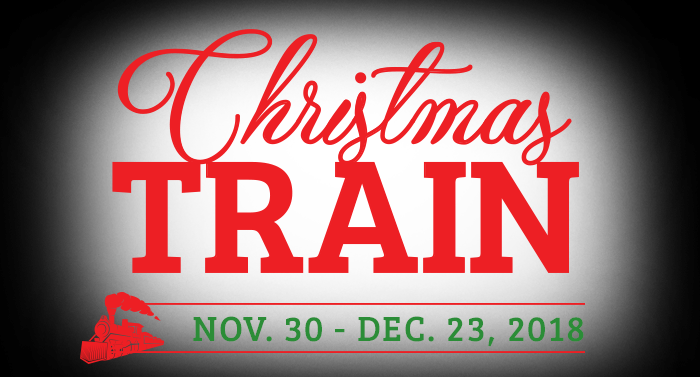 Visit Irvine Park Railroad Park during the holiday season starting November 30th thru December 23rd. ‘Tis the season for Irvine Park Railroad’s annual Christmas Train, get all the details and enter the giveaway to this event you will want to make a yearly tradition!